Kane Pryce knows that ghosts are real . . . and that sometimes they have unfinished business. Shortly after death, a soul will see a door of light leading to the afterlife. But sometimes, when there’s something or someone still pulling at them, souls turn their back to this door. Instead, they haunt the living . . .
Hollywood native Kane Pryce isn’t your average twenty-something dabbling musician. Yes, he’s an occasional substance abuser with a distrustful nature and self-destructive streak. And yes, most people might take him for a down-on-his-luck slacker. But to those in a very small circle, he’s also known as a ghost-hunting legend. Delving deep into the supernatural isn’t a lifestyle that Kane chose for himself, however; it was thrust upon him when his father vanished under mysterious circumstances. Unbeknownst to anyone besides Kane, his father left instructions to his son that led Kane to the Soul Trap, a powerful supernatural treasure that allows him to hunt down, capture, and send ghosts from the earthly realm to the afterlife. For Kane, power over the supernatural has come with a price. Despite his attempts to do good with this power, his efforts often leave a path of destruction. So when his paranormal side-job attracts the attention of Eva Kells, a crack reporter intent on breaking his story, Kane is reluctant can he trust her? Soon, though, risking his heart on a snooping journalist is the least of Kane’s worries. He receives a call from a terrified priest whose church is haunted by the soul of a deceased little boy. Kane takes on the case, but as he begins to learn the strange details surrounding the boy’s death, he realizes that there’s much more at stake than he ever could have imagined. And to complicate things even further, he falls hard for the boy’s mother. The only problem is, she’s been dead for almost fifty years . 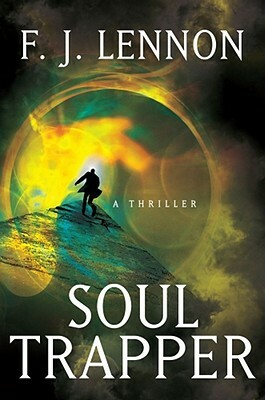 . .
Nail-biting and darkly humorous, SoulTrapper takes readers on a thrilling ride through the ghostly realm.